Nice Photograph ! Different ! Thanks Emad. I’ve just taken a look at your blog – some great work! Graham. This is a wonderful photo; simple yet full of intrigue. I love your use of negative space here! Thank you Mike – I was concerned that it might be a little too sparse and minimalist. I’m happy it worked. I like the negative space also. Nicely done. 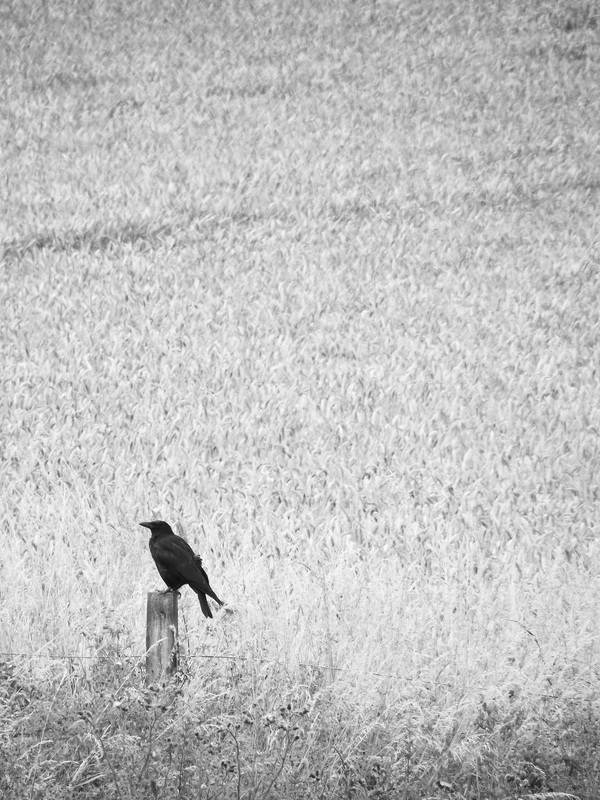 So, Graham, I have been wanting to photograph a crow is a simple setting for quite some time and haven’t found that perfect pairing, but you have and I love it, so now I can stop trying – Yay! Thanks. I still do a bit of birding, although the photography passion has forced it back a bit. Time constraints!